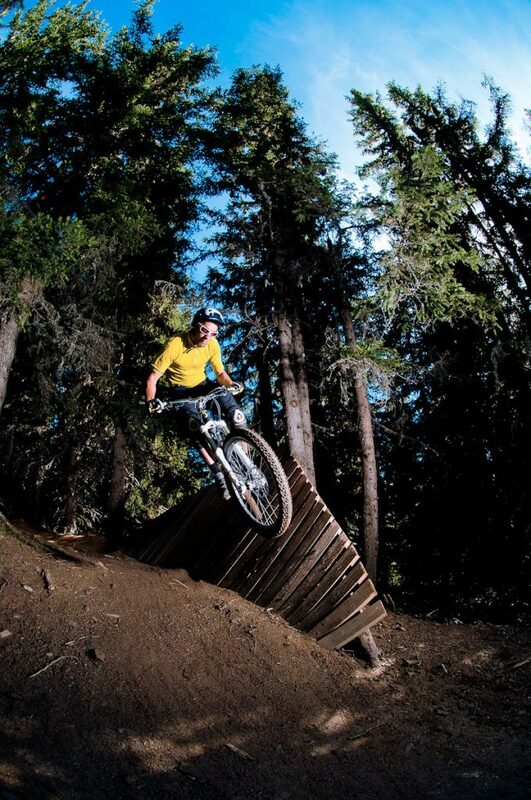 Study and creation of a family downhill MTB area Mountain-biking facilities designed a created from a blank canvas. 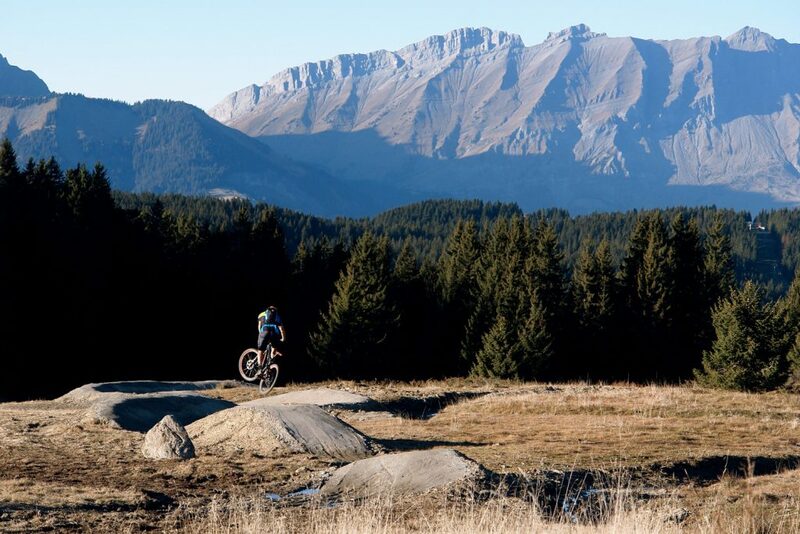 In 2008, we were asked to carry out a programming study to develop an innovative MTB product for the resort of Saisies. 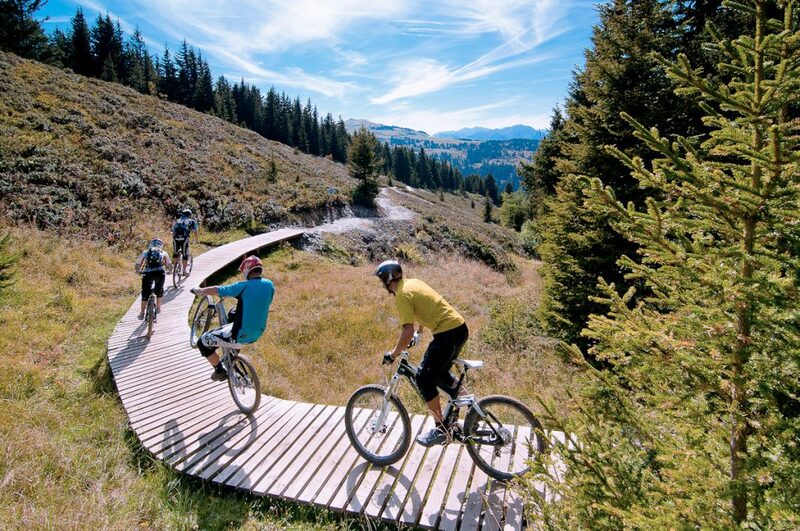 This family resort in Beaufortain didn’t have any structured mountain biking offering. 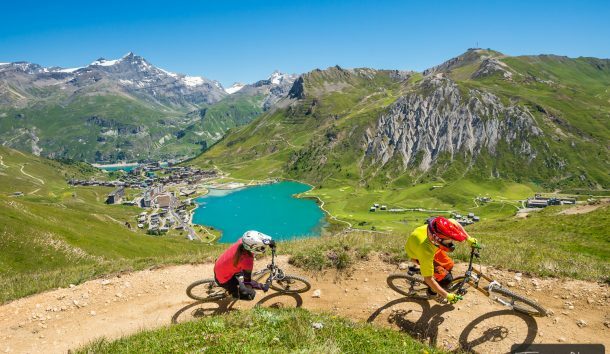 Enduro routes were then created towards the bottom of valleys, as far as Albertville, with the establishment of a seasonal shuttle system. There was a small revolution in the resort when the lifts opened in July and August, and then at the weekends in June and September. 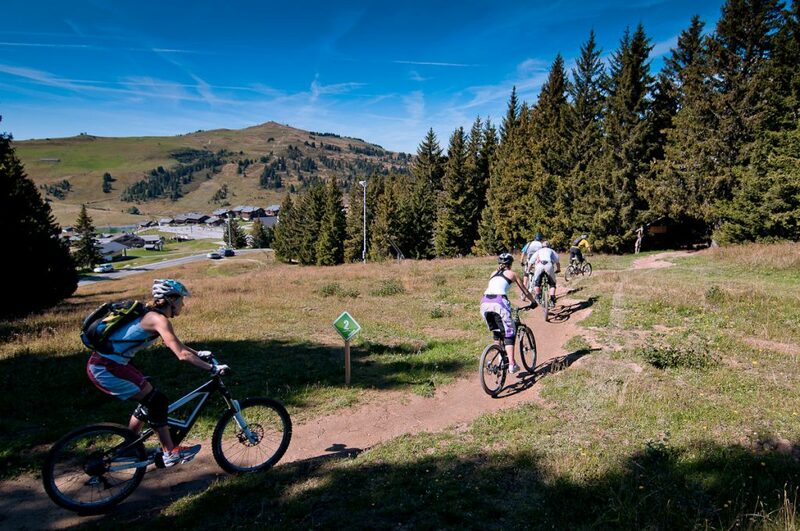 Downhill trails from green to black were developed by our teams until 2012: better quality and more accessible than in other resorts in France. They enjoyed immediate success. The range of trails was completed in 2015, with the establishment of a fun cross-country loop near the new activities centre in Signal. A free-access trail measuring 2km which delighted families. A landscape of low hills with gentle reliefs and steady inclines: the perfect cocktail for developing downhill courses, easy for family activities. Here we see the green trail “Pikachu,” plotted in harmony with the reliefs, nature and the ski area. 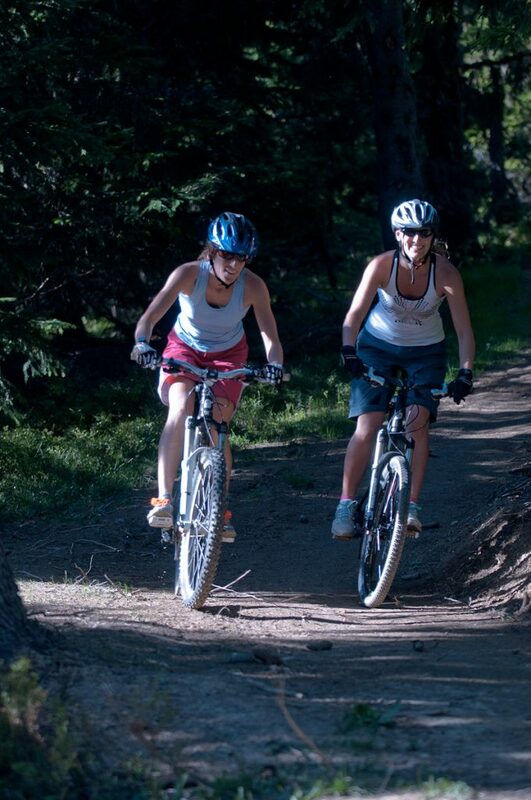 The downhill trails are predominantly green and blue levels: they are designed for riders just starting out. 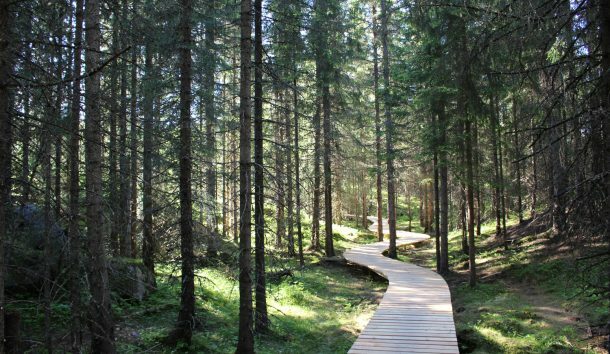 The trails offer banked corners, whoops, small and big jumps and wooden modules, always aligned with nature and with maximum safety. 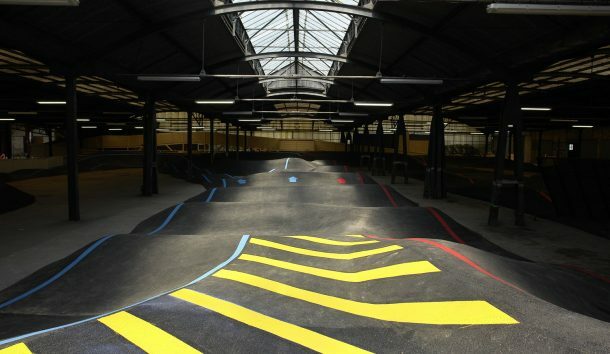 Red and black trails have also been created for those that love a challenge. 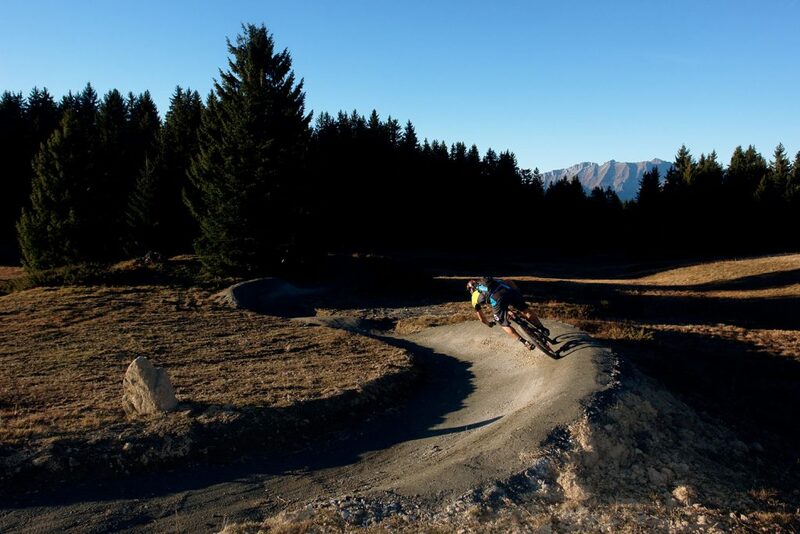 Moreover, the black trail regularly hosts a round of the Rhône-Alpes downhill cup. 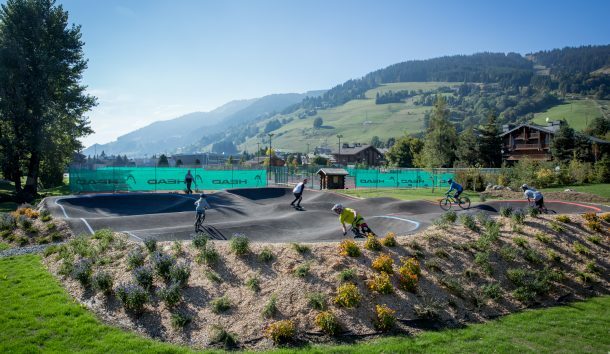 The downhill trails have been peppered with wooden modules, both for the playful aspect, but also to protect certain ground sensitive to erosion. Other wooden modules offer more serious challenges for mountain bikers, and more technical options. 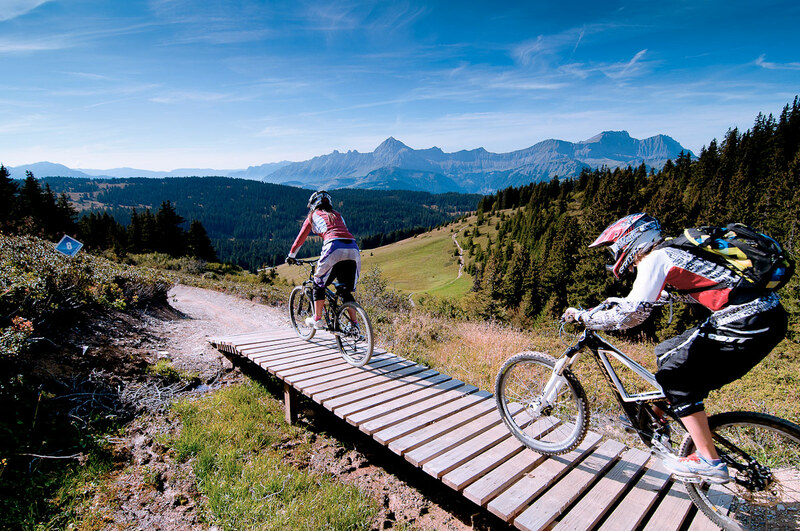 : The mountain biking area in Saisies: a fun and peaceful area for mountain biking, for all ages and levels. This initially required more thought, studies and design than you might expect ! The blue “Lovely Woods” trail with its long staggered whoops, on which you can jump if you feel like it0 ! In 2015, a free-access cross-country trail was also studied and then constructed. A great alternative when the lifts are closed, and a fantastic addition when they are open ! 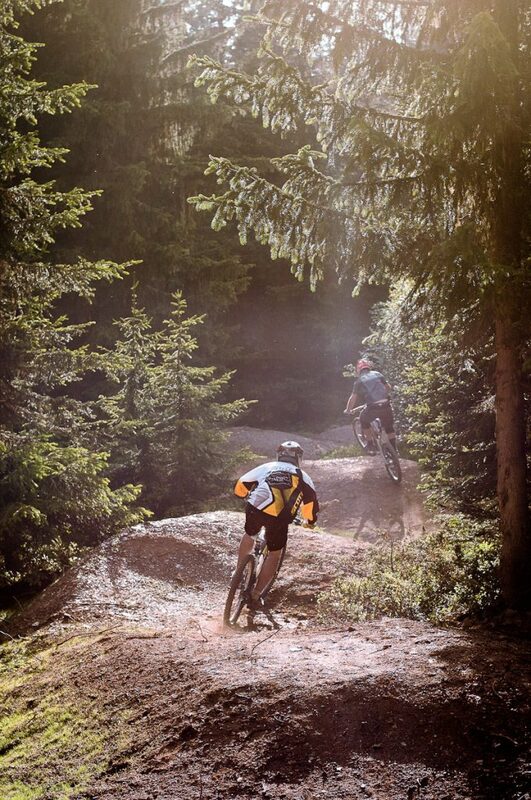 This new cross-country trail is just as playful as the downhill trail. You just have to pedal a bit more !